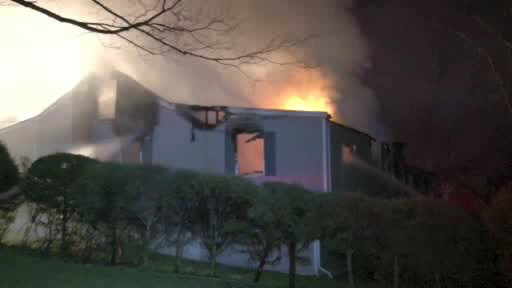 YORKTOWN HEIGHTS, Westchester County (WABC) -- Two people were killed early Monday in a house fire in Westchester County. The victims are believed to be an elderly couple. The fire broke out inside the home on Central Street in Yorktown Heights just before 3 a.m. The residents were reported to be trapped inside, but firefighters could not reach them due to the heavy flames.